A teacup that shivers in response to its tea going cold. 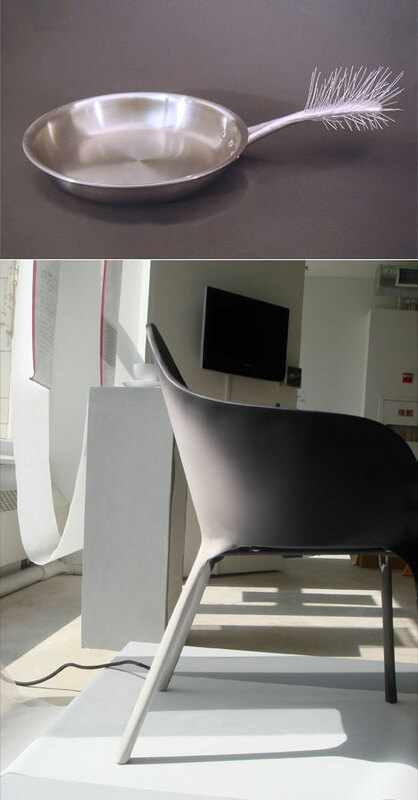 A chair that warms when you sit in it, revealing its aspirations to be soft and comfortable. A pan whose handle becomes impossible to grasp when it becomes hot to the touch. The animate characteristics of these everyday objects allow them to facilitate meaningful interactions with their users by actively responding to their environment and evolving through their conditions of use. Pictured above are the Porcupine pan, embedded with the shape-memory alloy Flexinol, and the Fever chair, lined with heat-tape (a low temperature heating element) and coated in thermochromic paint.